Say hello to your new favorite, money-saving, eco-friendly cleaners! 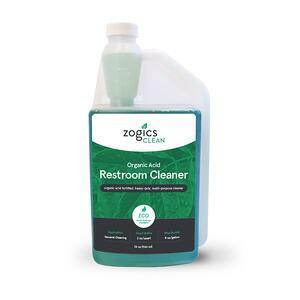 Zogics’ new suite of cleaning products are concentrated to yield gallons of usable cleaning solution, all while promoting environmentally-responsible application. Our lineup is ECOLOGO approved and offers the diversity needed to meet a wide range of uses and specialities. 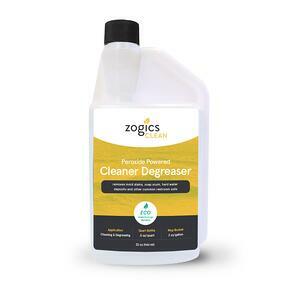 From all-purpose cleaners to degreasers and odor eliminators, Zogics Clean gives you the best value for your budget. Safely and thoroughly performs all cleaning applications including removal of heavy grease and soil. This moderate foam formula leaves a clean, film free surface, making it the ideal product for scrubbing and recoating without the use of harmful chemicals, such as: phosphates (promote algae blooms), EDTA (carcinogen) and NPE (harmful biodegradable intermediate). Readily biodegradable, this product will not accumulate in the environment and will not contribute to waste treatment plant sludge. Cleans away soap scum, mold & mildew stains, hard water deposits, rust stains, body oils, fats and dirt. Especially effective on removing difficult stains from ceramic tile floors and grouting. 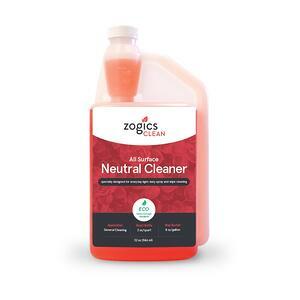 A highly concentrated all-purpose cleaner that is specially designed to address the environmental, safety and health concerns facing today’s housekeeping professional. Can be used to clean most surfaces such as windows, walls, floors, tile and grout, washroom fixtures, tubs, showers, toilet bowls and urinals. A low toxicity, low VOC, readily biodegradable, concentrated floor cleaner that is specially designed for everyday floor cleaning. Neutral pH will not harm floor finishes. May also be used as a light duty spray and wipe cleaner for multiple surfaces not harmed by water. 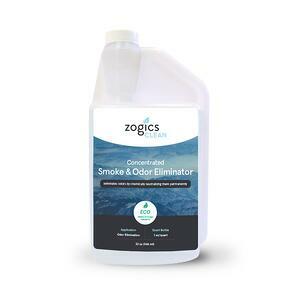 A powerful concentrated smoke and odor eliminator that destroys malodors without masking them. This product is ideal for eliminating complex odors such as smoke, pet, rancid or stale food, and mildew odor.